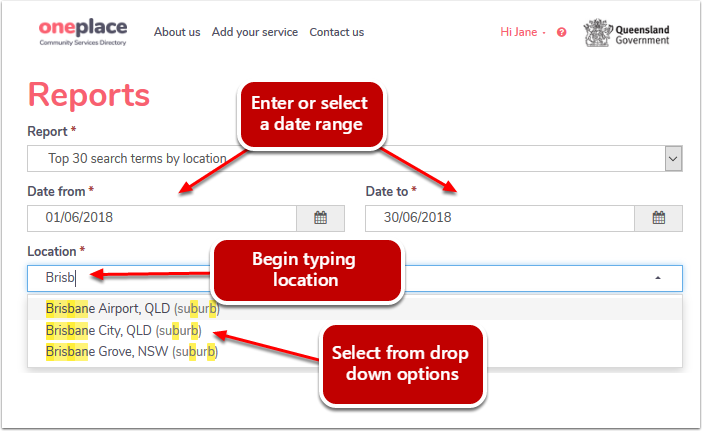 Logged in users of oneplace are able to generate a report on the Top 30 search terms performed within oneplace for a given date range and location. 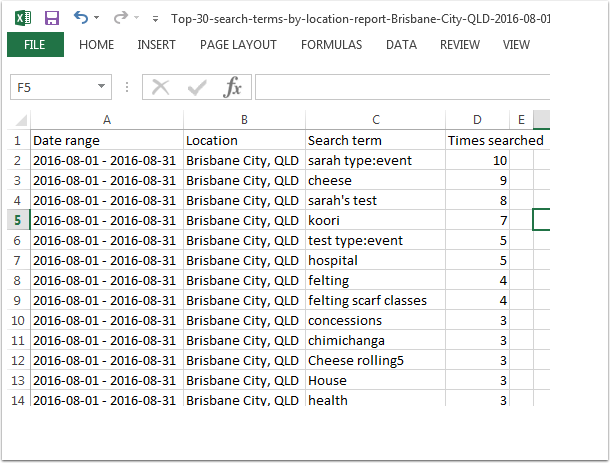 Select the Top 30 search terms by location report. 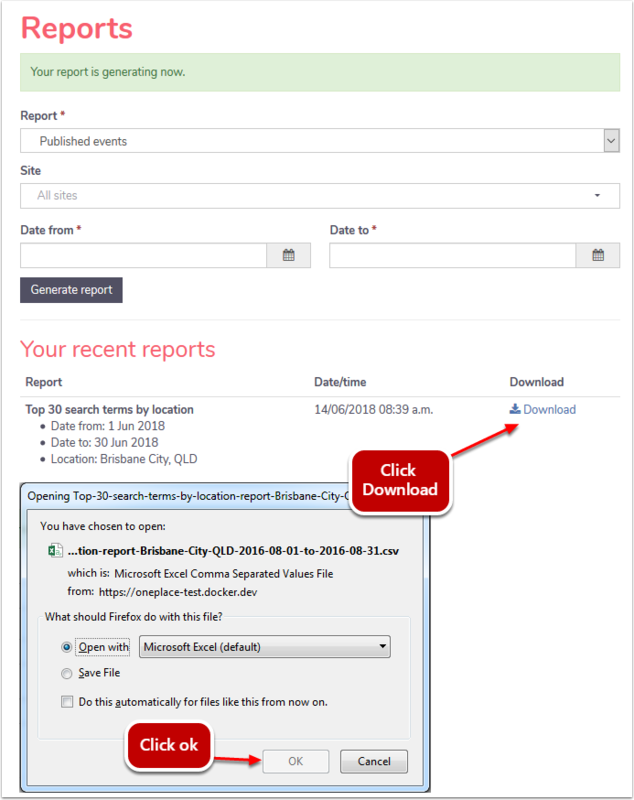 Enter a date range by selecting dates from the calendar icon or entering them in dd/mm/yyyy format. Start to enter a location and a drop down list will appear with a number of locations to choose from. 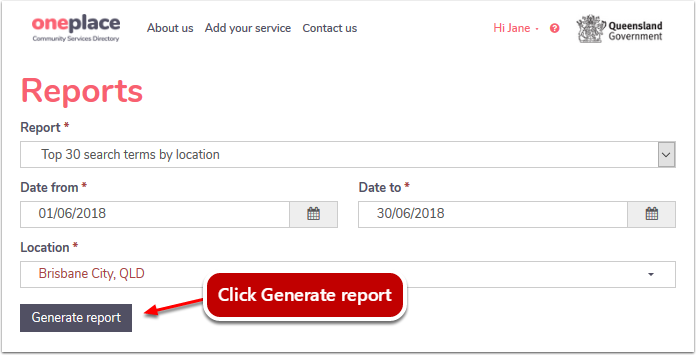 oneplace will begin generating the report. Top 30 search terms (including number of results) by location. Exact search terms including number of times that search term was used.